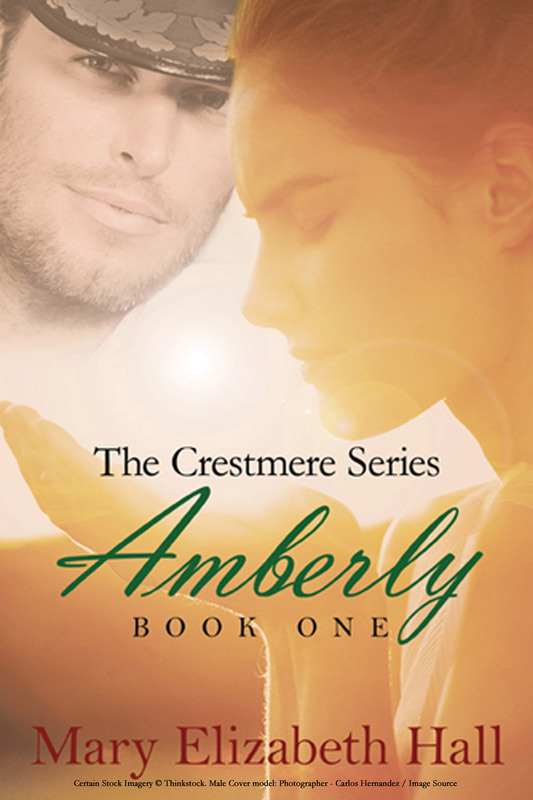 I’ve had the story behind Amberly and the rest of the Crestmere Series in my mind for more than 35 years. I realized two years ago I was forgetting parts of it, so I began writing it down! Friends loved chapters I sent them and begged me for more, and the writing / learning / revising process began. The idea came from my dreams of exploring the ideas of romance and relationships in other times and places. 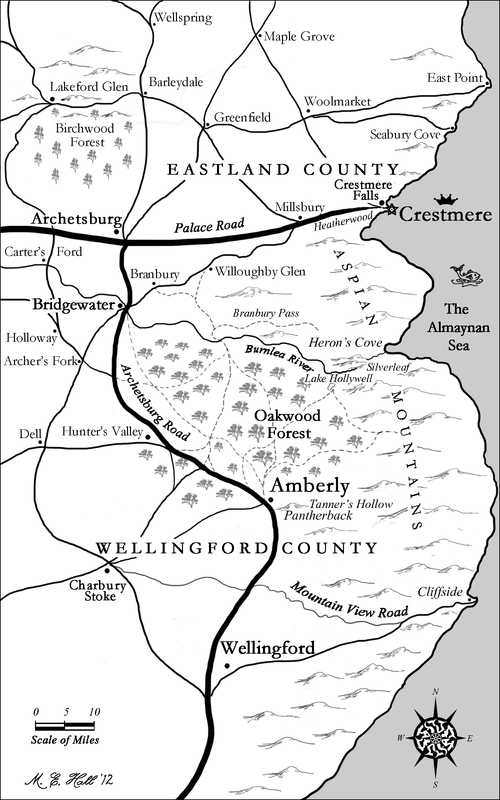 Romantic suspense, in a setting similar to eighteenth century England. Oh, that’s such a great question! I know exactly what (or who) each character looks like, but don’t know whether certain actors would be the best ones to play these roles. Marsten’s face (but not his hair) looks exactly like a Perry Ellis model named Tommy Dunn. I spotted Tommy on a wall over the men’s suits at Dillards two years ago. His face is just like the one I’ve envisioned in my mind for thirty five years (which is rather funny because I doubt that Mr. Dunn’s even thirty five years old). Eleanor looks like a particular photo I saw once of Catherine Zeta Jones, but she acts more like my feisty Irish ancestors. Mayor Williamston in my mind looks like Theoden actor Bernard Hill. Margaret Williamston’s a bit trickier. I have an image in my mind of what she looks like, but don’t know who might portray her best. And as for Hrunfaldr the Norlander chieftain, I picture Thor actor Chris Hemsworth – but he’d have to be about thirty years older! Snatched by coldblooded enemies as a declaration of war, Eleanor Williamston finds herself caught in a deadly snare—miles from home and lost in the wilderness, where her heart is drawn to the handsome guardsman who rescues her, but then is torn when he challenges her political ideals—and then reveals something that will make her choices even more difficult. Amberly is available on Amazon and all the usual places. I pounded out the first draft of what became the first two books over four months during late summer and early fall, 2010. I’ve spent the two years since then revising both manuscripts, while learning from writers’ conferences and working with critique groups. Amberly has similarities to novels by Jane Austen, Liz Curtis Higgs, MaryLu Tyndall, and even has touches that would appeal to lovers of Tolkien, epic classical literature, and poetry. While I was growing up, I became fascinated with the notion of twin heirs to royalty, born in the forest so no one knew which was the firstborn, coming to trust only in one another and determined to someday reign together. I enjoyed mulling over the unique joys and challenges this might present, and soon their adventures together began in my mind. Other characters joined them, and their stories matured while I did. When I became a believer in Christ, their lives and struggles blossomed like mine with desire to please God while struggling against forces from without and within that seek to oppose Him. Now I see these stories as a means to share with others in an enjoyable way some of the crucial things I’ve learned about life and love, providing a legacy of Biblical truth for generations to come. It’s my hope and prayer that readers will come away loving God more deeply and desiring to serve Him better. To me, the setting of a story is as much a character as the hero or heroine of any story. Since I’ve always viewed these stories like a movie playing in my mind, I’ve sought to convey the richness and beauty of the surroundings so the reader is swept away into the world of the characters, and can see and feel what they do. Readers and reviewers have commented enthusiastically on this, so it appears other people enjoy immersing themselves in the world of the stories they read as much as I do! and Kathryn J. Bain for clean fiction with an edge! 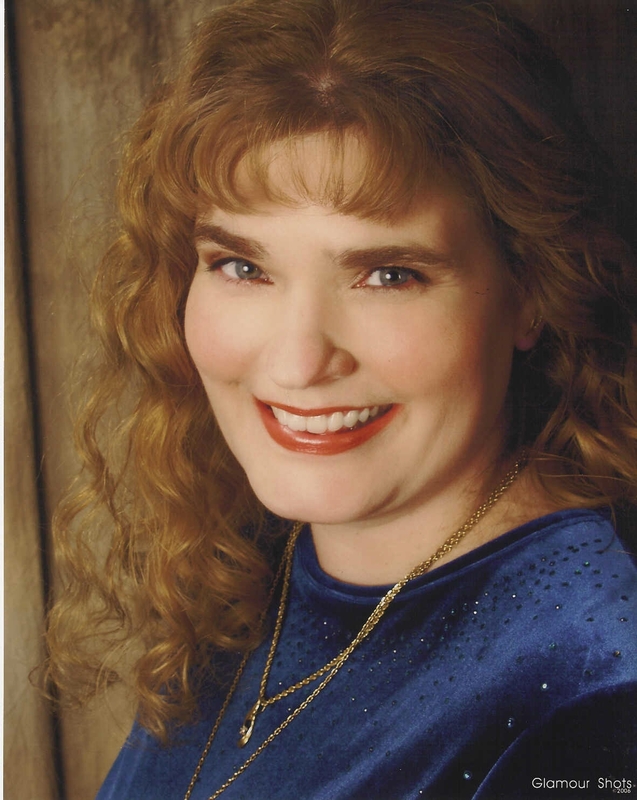 See my interview with Lynn Squire at FaithJourneybooks! Grand Prize Giveaway! Leave a comment either on this website, or my Facebook Author Page, or one of my Articles, or one or more of my Blog Tour Posts by December 15 for a chance to win an autographed copy of Amberly!